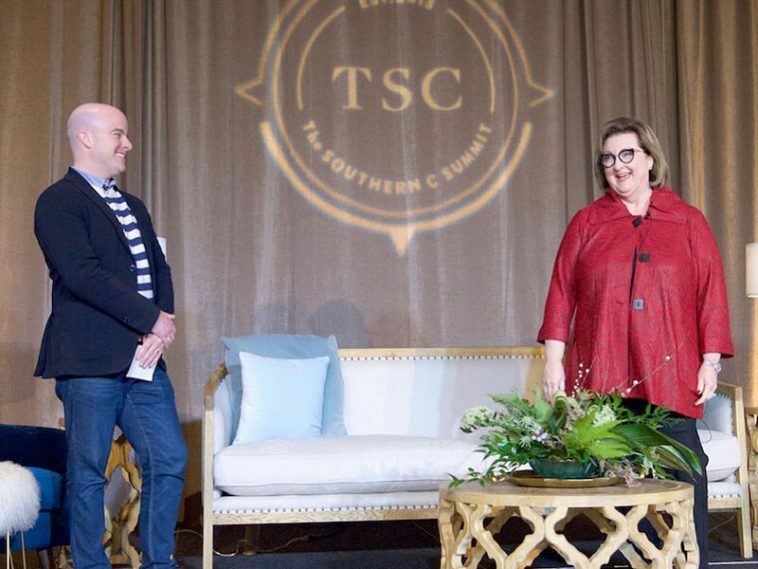 I was privileged to speak at The Southern Coterie gathering last week in Sea Island, Georgia—The Southern C for short! It is an annual conference where hundreds of entrepreneurs gather and share ideas, advice, and experiences. My goodness, there were mostly young people there, and I felt rather “mature!” My son Brian and I were the keynote speakers, together on the stage, sharing with the attendees our experience in the life of Hoffman Media from the time it was launched ’til today. He spoke about joining the family business along with his twin brother, Eric. When I took the stage and looked out into the audience, I was absolutely amazed at the number of mostly women who were there and were seeking encouragement. I discovered many new businesses that I will feature in the future, as well as businesses that have grown and are set to truly delight so many as they continue to emerge. One of the ladies in my mentor group said she had to make her business work. She is a single mom with no help from anyone, and she has to do what it takes to survive. Another said she couldn’t take corporate work anymore. It was too hard on her family, and she started her own business to escape. Others knew they had talents that would parlay into a wonderful business. All perfect reasons to start a business! What do you say to these questions? We were sharing our stories of how we made it work for us. 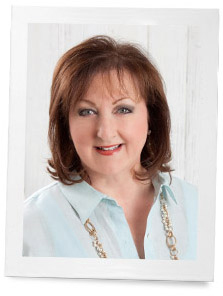 My business didn’t grow quickly, as I worked around my kids’ schedules. I didn’t want to miss anything in their lives. Was it hard? Oh yes, at times it was, but I felt I could do it. It is different for everyone, and what works for me might not work for you. That’s the beauty of staring your own business—there are no rules. You have to take it step-by-step and figure it out. The word of encouragement I could best give anyone is to never give up. Find what works for you, and do it. You might be right at the brink of success, and giving up will insure you never get there. Seek advice and counsel, and then sift through for the nuggets of information and tailor it to your personal experience. Never give up. Never, never—just set your OWN goal and do it! On another note—many of you wanted to see my new glasses. A group of these ladies took a selfie of us and here we are! That’s me in the back! Do you have an idea for a business?? as i want enjoyment, since this this website conations truly nice funny stuff too. You were just what we needed at this year’s TSC Summit! The minute I saw Brian after y’all stepped offstage, I said “why haven’t we had her on stage before now? 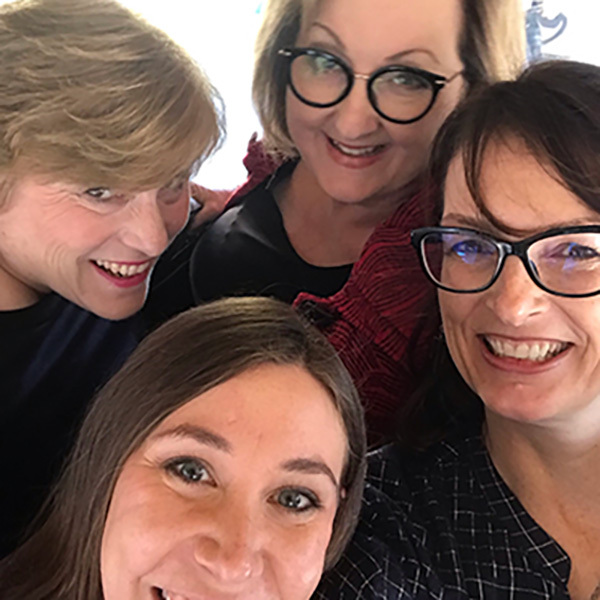 !” We greatly appreciate you being a part of the Summit programming – you and Brian both were so inspiring and your presentation was great – the sincerity, the humor, the takeaways. And I know your mentor group was amazing, too… wish I could have sat in on that one! It was so great meeting you! So excited to be pictured on your blog! Red is definitely your color! Before Mother passed away, we had decided to get more involved in selling smalls – crystal, china, sterling, …. Somehow I’ve never been quite as interested since we can’t share the fun. Oh! How I wish I could have been there! I know it was wonderful. I bet you had a wonderful time with Brian at the conference, as well as with all the wonderful people there. I agree with you, if you want to begin a business, it’s important that it’s something you love, and don’t ever give up. You look fabulous!! Sounds like your trip was a huge success. I know those women loved y’all!!! Are you going for the Harry Potter look? Just saying. . Your new glasses are so becoming. Makes me want some like them. You surely have so much wisdom and, mainly, great love for what you are doing. Certainly your endeavors inspire and enrich us all on your Ribbon. Those young people who want to start or improve businesses were fortunate to have your and your son’s experience stories. We don’t want you to ever stop either. I can use all the help I can get!! Phyllis, My comment, You look darling! Phyllis, My comment is Va Va Boom! You look darling! Thank you. You are so kind. Loved your post and yes the glasses do make you look younger. Well thats a good thing!! Love the new glasses and love you!!! New glasses – very mod! I think they make you look younger – that’s something we all can use – right! ?